"So You Can Keep An I On Me?".. 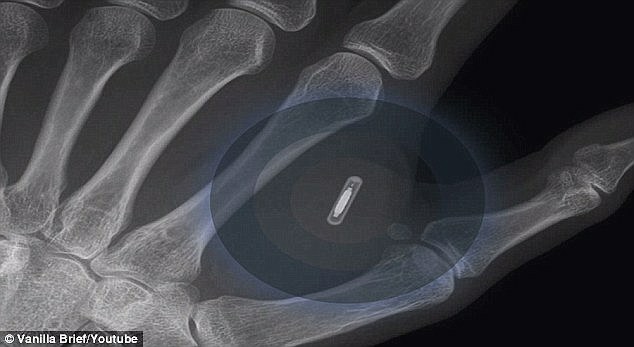 M had his fore-arm injected with a microchip implant transmitter-tracking device.. The Swedish company has implanted microchips in its staff which allows them to use the photocopier, open security doors and even pay for their lunch..It is hoped that eventually around 700 employees from the Epicenter hi tech office block in Stockholm may eventually have the chips implanted into the back of their hands..The chips use radio-frequency identification (RFID) and are about the same size as a grain of rice..